It was over four decades ago that BMW came up with the slogan “The Ultimate Driving Machine” to promote its vehicles. Ten minutes behind the wheel of a 2017 BMW 540i recently convinced me the company has a strong case for the claim that came from the fertile mind of automobile legend Bob Lutz. Oh, it’s not like BMW is the only manufacturer producing vehicles that combine performance, luxury, and comfort in an attractive package with all kinds of gee-whiz, technological functions. Its Teutonic brethren Mercedes-Benz and Audi do that quite well, too. But though competitors may do it as well, you’re not likely to find any that does it any better. 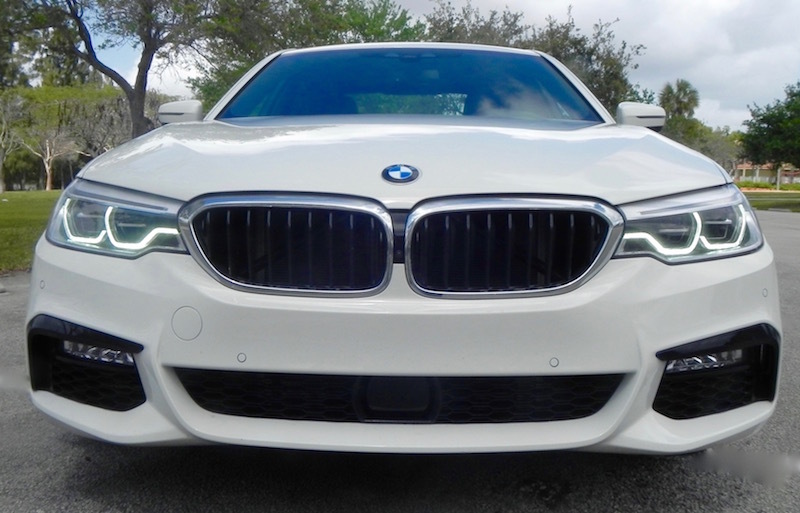 Although the 3-Series remains BMW’s best-seller, the 5-Series offers many of the same advantages for those shopping for a slightly larger vehicle in the luxury class. 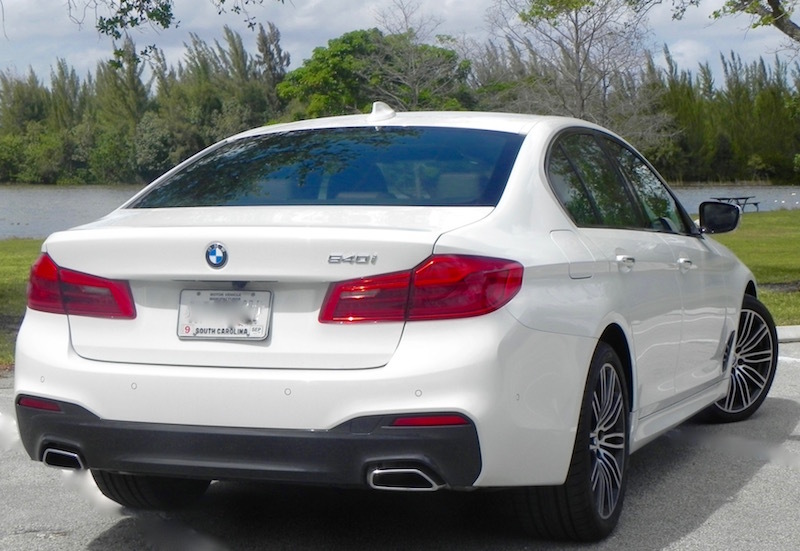 In fact, the 2017 5-Series grew slightly longer and taller than its predecessor as it moved into its seventh generation this year, resulting in slightly more legroom for backseat riders and increased trunk capacity to a generous 18.5 cubic feet. But it still managed to lose a little weight (137 pounds) through extensive use of aluminum, magnesium, and high-strength steel. 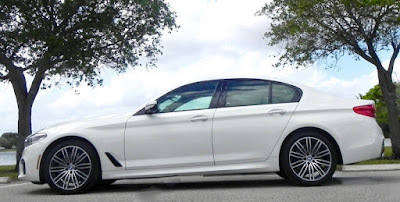 With a new 3.0-liter turbo inline 6-cylinder sending 335 horsepower and 332 pound-feet of torque to the rear wheels via an 8-speed automatic transmission, the 540i is a surprisingly nimble performer, scooting from zero-to-60 mpg in a tick under five seconds, according to company clockers. I say “surprisingly” because from a driver’s perspective looking over the relatively flat hood design the impression is that this is a bigger car than it really is. At 194.6 inches long, however, it’s a foot shorter than the 7-Series, which also is a little over an inch wider than the 5-Series. Fuel economy for the 540i is rated at 20 miles-per-gallon city, 30 mpg highway, and 24 mpg combined, which understandably is short of the numbers the 4-cylinder 530i delivers but still competitive for the class. BMW recommends premium fuel for both, and if you’re skimping on that, you’re probably not getting all the performance out of your car that you should. There could be even long-term effects that aren’t good. If you want to save a tiny bit of fuel, you can set the 540i in “Eco” mode instead of “Comfort.” Or if you want to bump up the driving fun, you may set it in Sport mode and or choose your own individual settings for throttle response and suspension, though leaving it in “Comfort” is not a bad choice. 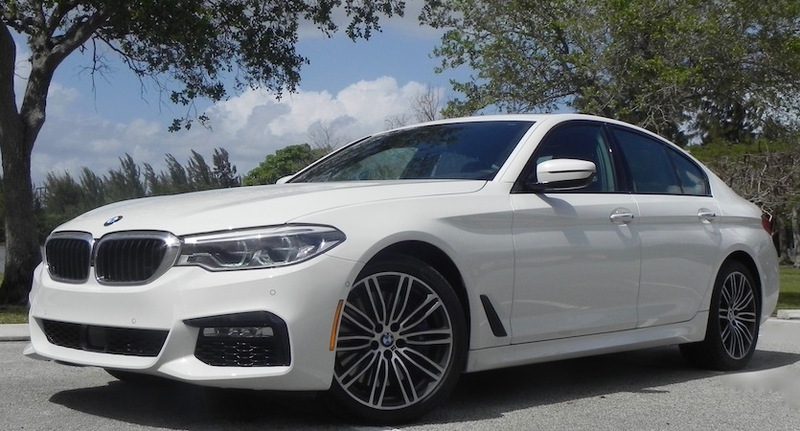 In addition to the power, the 540i provides a steady, quiet ride, coddling the passengers with high quality materials and absorbing road bumps nicely even when the suspension is firmed up. 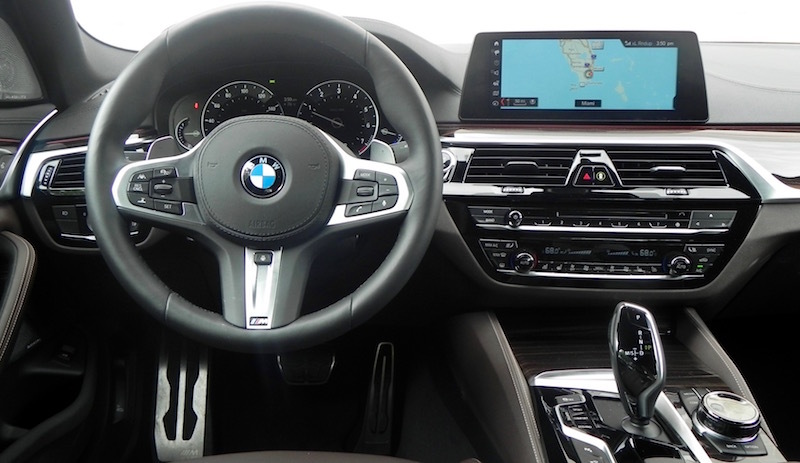 Standard features for the base MSRP of $56,480 for the 540i include dual zone climate control with individual blower settings, 16-way power adjustable front seats with 4-way lumbar support for the driver, moonroof, Bluetooth phone and audio, and navigation. Exterior standard features include adaptive LED headlights, LED fog lights, and chrome line exterior trim. Of course, the 540i is packed with a ton of technology, some of which has trickled down from the flagship leading 7-Series. This includes an optional gesture control system that lets you operate some functions by waving your finger around. For instance, the radio too loud or too soft? You can adjust it by placing your elbow on the center console, holding your arm at about a 45-degree angle, and pointing your index finger toward the rearview mirror. Turn your finger clockwise and the volume gets louder. Turn it counter-clockwise and it gets softer. Good question. Consider that a knob on the dash for adjusting the volume is just inches away from the steering wheel and also that there are buttons on the steering wheel to turn it up or down as well, the ability to accomplish the task by waving your finger around falls into the category of “just showing off.” It’s like the engineer wanted to show that he could do it. Unfortunately, so many of the good things that really make a luxury car a luxury car these days come in option packages that can really run up the base MSRP. 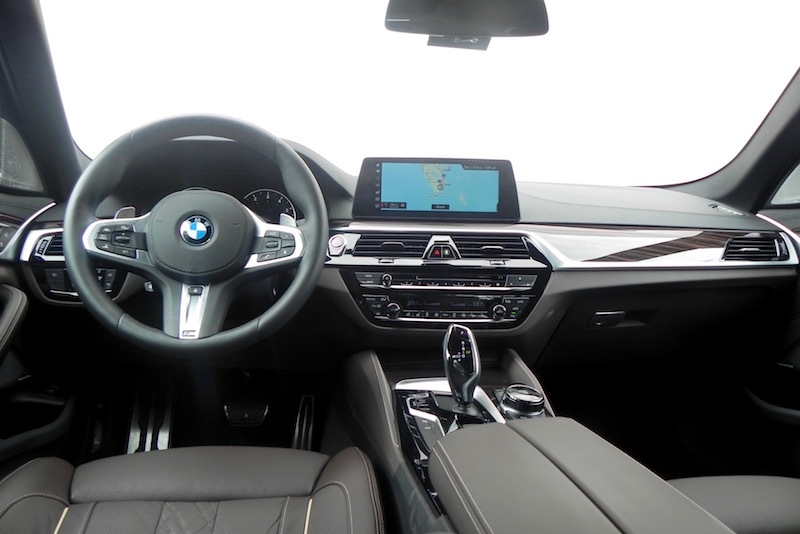 Packages like M Sport (distinctive steering wheel and design touches), Cold Weather (heated seats and steering wheel), Driving Assistance (rearview camera displays to aid in backing/parking), Driving Assistance Plus (blind spot detection, etc.) Dynamic Handling (better handling on rough roads), and Premium (wi-fi, satellite radio, keyless entry) plus stand-alone options like M Sport brakes, self-close automatic doors, remote control parking, ceramic controls, power rear window shades, Apple CarPlay capability, a Bowers & Wilkins premium sound system and the gesture control capability ran the total to over $80,000. Add in the $995 destination and delivery charge and the final tab for my test 540i came to $81,910. That’s a jump over the base of just over 45 percent (assuming I did the math right), which is quite a big jump. It might behoove BMW to include a few more things as standard and raise the base MSRP accordingly, but that is something that is above my pay grade. It all works out pretty much the same anyway. What I liked about the 2017 BMW 540i: The power trunk opens with the wave of your foot under the rear bumper if you have the key fob (which is the size of an old flip phone) on you. 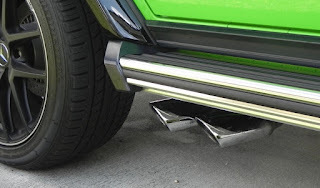 I have seen this on several SUVs and crossovers, but this was a first for me on a sedan. The trunk is a spacious 18.5 cubic feet. 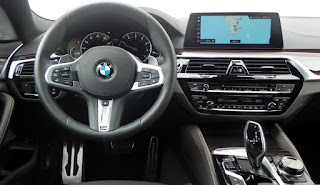 What I didn’t like about the 2017 BMW 540i: The iDrive system is getting easier to operate (maybe I’m just getting familiar with it) but it still seems to me to require some extra steps to perform simple functions. Would I buy the 2017 BMW 540i: Yes, emphatically so. It at least should be on your list to check out if you’re looking in the luxury midsize segment. Subcompact cars are usually more about functionality and fuel-saving than they are about style. Not that they are all inherently ugly, but style is not the first thing that comes to mind about them. 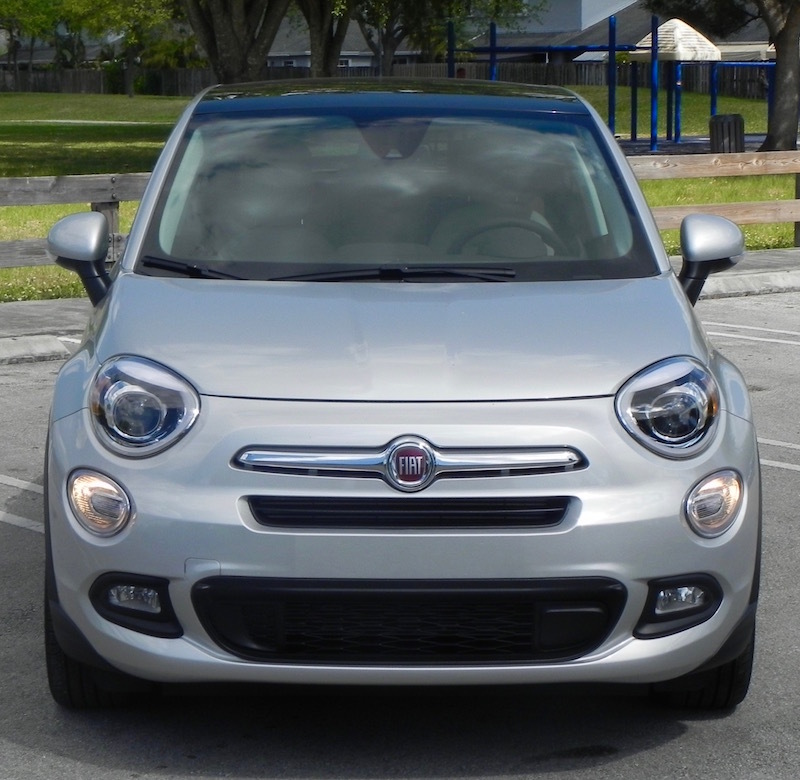 Fiat’s 500 series, however, is one exception. With its Italian lair and carefree air — the front fascia even has a rather impish look about it — the Fiat 500 series adds a little chicness to a segment that tends to lean toward “cute” when it comes to appearance. The first Fiat 500s landed in the U.S. about five years ago with the 500 hatchback, convertible and performance-oriented Abarth models, and an electric version came a year later. They were all nimble two-door cars with an appeal to a young, fun-loving market. 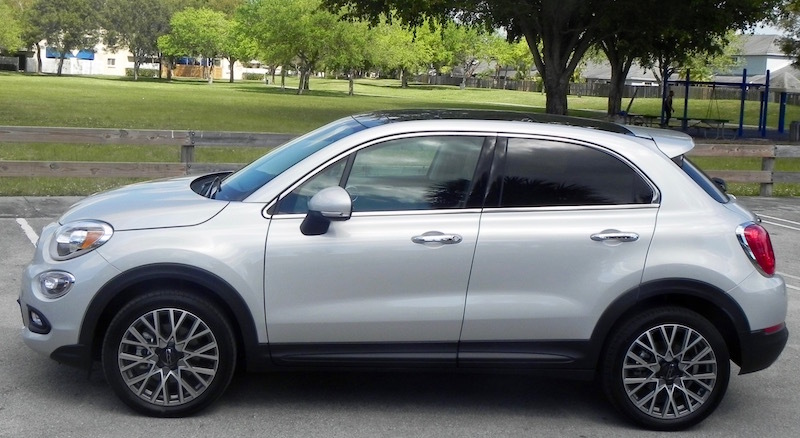 My recent ride was the top-of-line Lounge model of the 2017 Fiat 500X. It comes in two other flavors, Pop and Trekking, for a total of three trims, two fewer than when it was introduced. Easy and Trekking-Plus trims were discontinued for 2017. The Lounge trim features the larger of the two engines offered on the 500X, a 2.4-liter inline 4-cylinder rated at 180 horsepower and 175 pound-feet of torque. It’s also standard on 500X Trekking models and available as an option on the Pop, which gets a 1.4-liter 4-banger as standard. Front-wheel drive is standard on all trims with AWD available as an option. The 2.4-liter gets a nine-speed automatic transmission as standard, the 1.4-liter a six-speed manual. That’s kind of a shame since I would have liked to tried out the manual with the larger engine. It would have been more fun to drive than the the automatic. The emphasis on design also carries over into the interior. It’s not luxury class, of course, and the dash features a wide band of plastic across the front, but the 6.5-inch display screen is nicely integrated into the flow of the dash. Overall, there is a nice ambiance about the cabin. The backs of the two-tone front seats are embossed with a “500” logo, a nice touch. The Lounge trim comes with Fiat’s UConnect system for operation of the infotainment system with functions via the touchscreen or voice commands that responded readily, and accurately, during my week’s trial. There are also two knobs to operate the radio and three larger knobs for controlling the dual-zone air conditioner/heater. The 6.5-inch NAV UConnect system is standard on the 500X Lounge (optional on Trekking). It includes navigation, Bluetooth handsfree phone, and satellite radio in the base MSRP of $25,150. But to get the latest safety features you’re going to have to delve into the options. A rear-view camera is standard on the 500X Lounge (it’s only an option on the Pop and Trekking models), but to get the features like lane departure warning, full-speed frontal collision warning with active braking, rear park assist, blind-spot monitoring, automatic high beam headlight control, and rain-sensitive windshield wipers you’re going to have to add the Advanced Safety Package for $1,295. 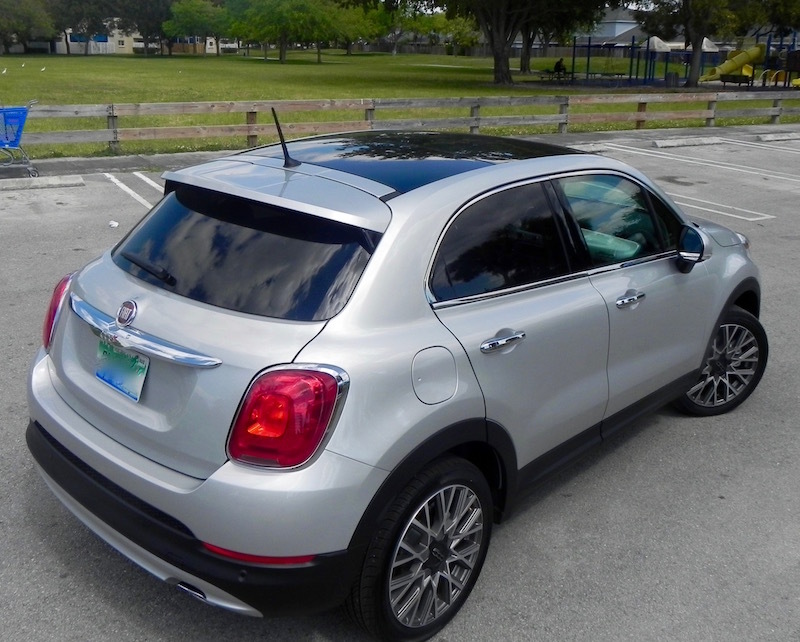 Adding an optional Premium Package (upgraded sound system), dual-pane sunroof, and 18-inch wheels with all-season tires plus the $995 destination and delivery charge put the final price tag of my test 500X at $28,935. That put this 500X Lounge at the higher end of the segment pricing. 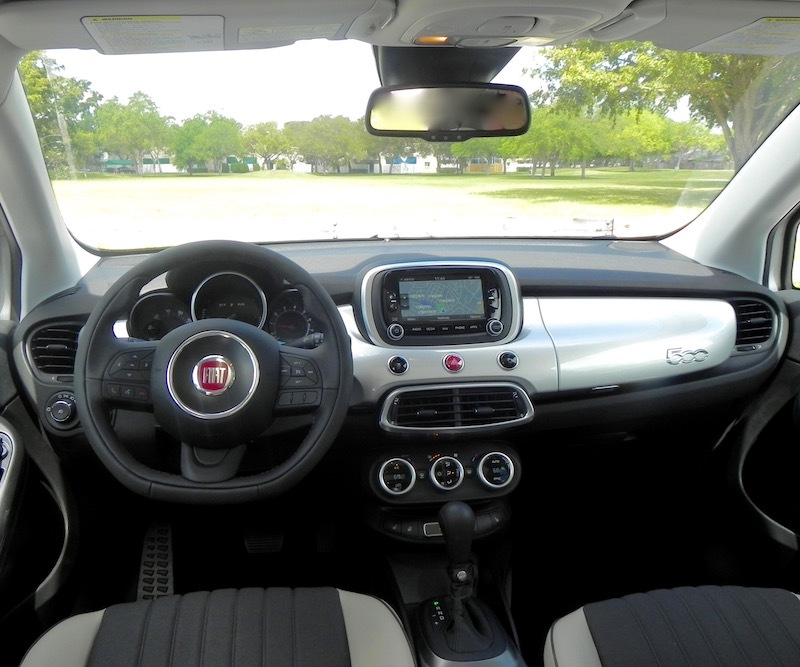 What I liked about the 2017 Fiat 500X Lounge: It’s pretty spacious for passengers and even offers pretty good legroom (up to 34.8 inches) in the second row. Features such as navigation, audio, and climate control systems are very user-friendly and respond quickly and accurately to voice commands. The ride is comfortable, especially for a vehicle this size. What I didn’t like about the 2017 Fiat 500X Lounge: Gas mileage is disappointing. Storage behind the second row is a meager 12.2 cubic feet. 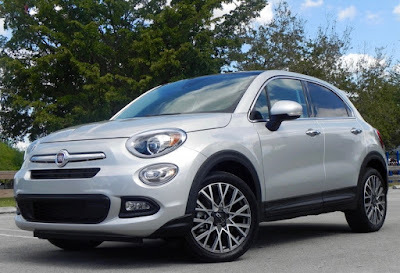 Would I buy the 2017 Fiat 500X Lounge? Don’t think so. Though the 500X (and other Fiat 500 models, for that matter)) are at the top of their class when it comes to out-of-the-box styling, it gets a bit too expensive when the extra safety features are added on. The line between entry level luxury cars and well-equipped so-called “affordable” vehicles seems to get more blurred every year as what were once exclusive features in the more expensive segment trickle down the line. Oh, you may not get all the styling tweaks, and the cachet a luxury logo give you may be missing, but if that doesn't bother you, you may be able to save some bucks by going with the top-of-the-line offering from an “affordable” brand over the luxury choice. One such example is the Nissan Rogue. 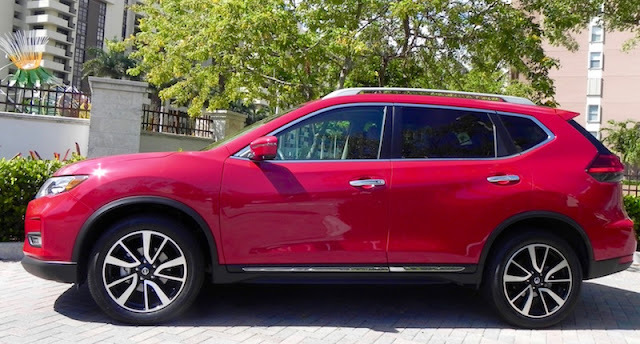 The 2017 Rogue SL is a good-looking vehicle inside and out and comes with a long list of features, many of them standard, that provide about all you would want in a crossover. 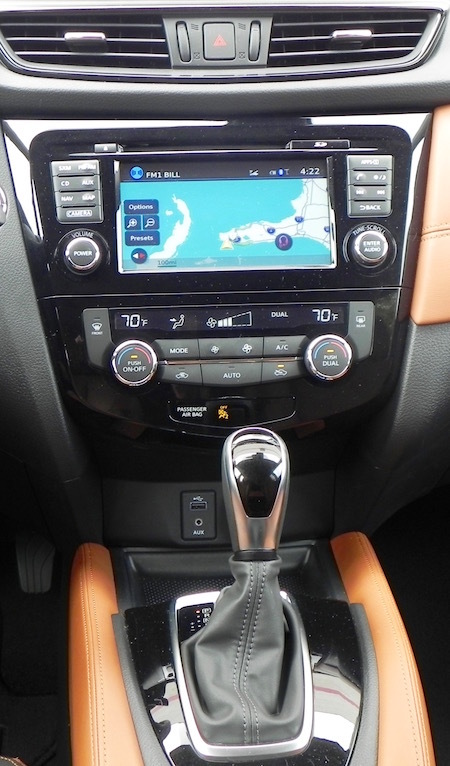 Among standard features are NissanConnect with navigation, 8-way power adjustable driver’s seat with lumbar support, a backup and surround-view camera with rear cross-traffic alert, heated front seats with position memory settings, blind-spot warning, Bose premium sound system, Bluetooth handsfree phone, dual zone climate control with second row vents, keyless entry and push-button start, a power liftgate that opens with the wave of your foot under the rear bumper when the key is near, and more. With all-wheel drive (over front wheel) and a couple of option packages that included a power panoramic moonroof, LED headlights, adaptive cruise control, lane departure warning and prevention, forward emergency braking with pedestrian detection, 19-inch alloy wheels over the standard 18s, and tan leather-appointed seats with quilted insets, the Rogue I had for the past week had just about everything you might want in such a vehicle for a price that came in at $35,475. That’s a jump of about $11,000 over the base Rogue S model but near the bottom of the price range for the compact SUVs in the luxury segment, and some of the lower-costing luxury models don’t offer all the features the Rogue SL does. With such advantages, it’s little wonder that the Rogue has become Nissan’s bestselling model, outpacing even the popular Altima sedan. 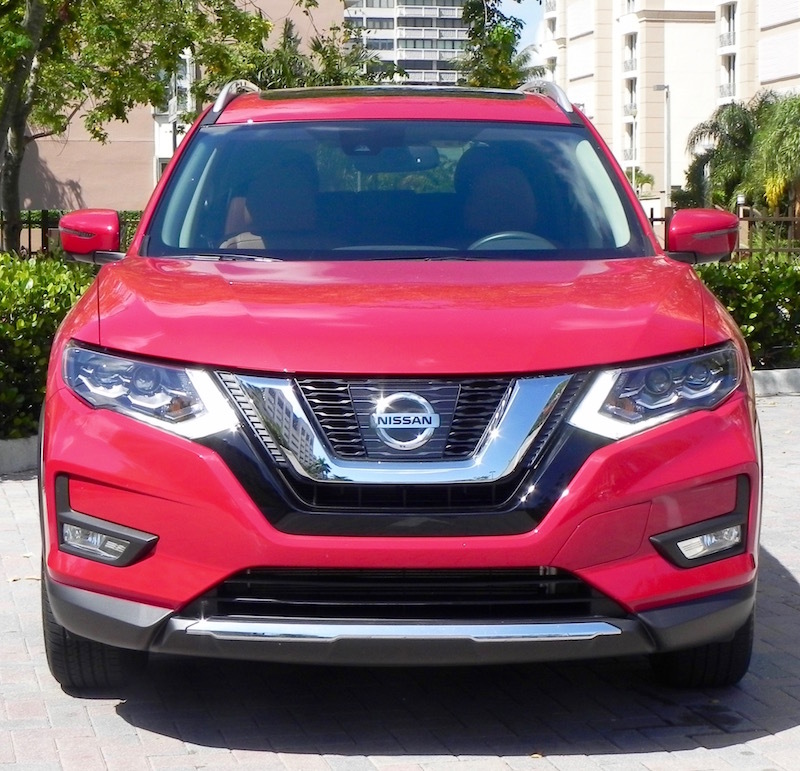 Nissan reported sales of 61,909 Rogues for the first two months of 2017 to 45,474 Altimas. According to figures from goodcarbadcar.com, that placed the Rogue No. 4 among all vehicles behind only three pickup trucks — the Ford F-Series, Chevrolet Silverado, and Ram — and just ahead of one of its chief competitors, the Honda CR-V. 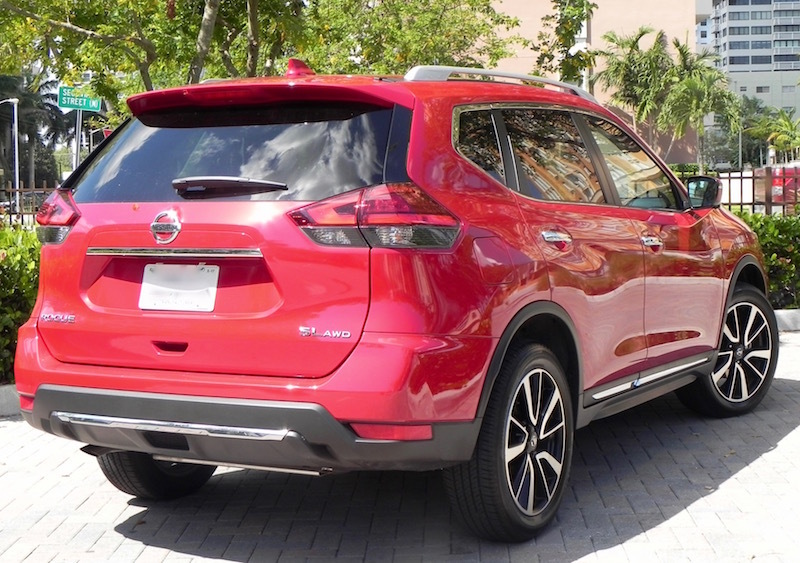 Apparently, buyers like the new features Nissan added to the Rogue for 2017 over the 2016 model. Among the changes were new front and rear fascias with a new grille and revised taillight treatment, the motion-activated liftgate, three new colors, body enhancements to minimize road and wind noise, a redesigned center console, new sport mode shifter, and available memory seats and mirrors. Adaptive cruise control, which Nissan dubs “Intelligent,” also was added for this year as well as several safety features. 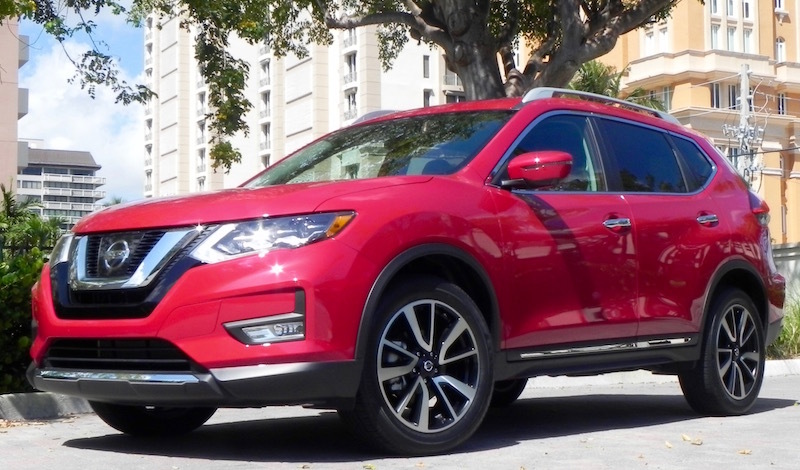 So, yeah, there’s a lot to like about the 2017 Nissan Rogue. Yes, you expected that, didn’t you? When it comes to performance, the Rogue does the job of getting from Point A to Point B but without much in the way of flair. Nissan added a hybrid powertrain to the Rogue lineup for 2017, but more common is a 2.5-liter 4-cylinder gas engine. Its numbers — 170 horsepower and 175 pound-feet of torque — aren’t all that bad. They pretty much fall in the middle of the segment. But that engine is hooked up with a Continuously Variable Transmission (CVT) and even when switched to Sport mode, you’re not going to get much in the way of kicks in driving fun. On the other hand, fuel economy is at the high end of the segment with EPA ratings of 25 miles-per-gallon city, 33 highway, and 27 combined, and that’s with AWD. It does run on regular unleaded, which is a break over most luxury models as well. What I liked about the 2017 Nissan Rogue SL: It comes packed with lots of features, both technological and in comfort and convenience. The technology is user-friendly, though there is an extra step in the voice commands that would be nice to cut out. What I didn’t like about the 2017 Nissan Rogue SL: I’d like a slightly bigger display screen for the navigation map, but my real bone to pick here is with the CVT. It can be noisy when pushed, and even in Sport mode or operated as a manual it doesn’t offer much in the way of performance. It would have been nice had there been paddle shifters to take advantage of the seven artificial shift points that Nissan features with its CVT. Would I buy the 2017 Nissan Rogue SL? I would if I could get past the CVT issue. I really do like its looks, comfort and style. 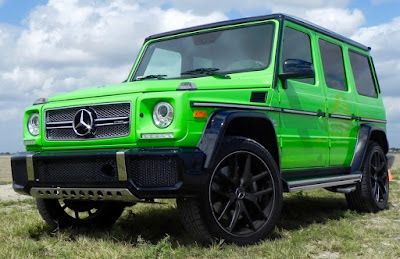 The Mercedes-Benz G-Class seems to me to be a series of contradictions. It’s a big vehicle that seems small inside. It’s a luxury vehicle but lacks many of the features normally associated with the segment. And at a time that it seems every manufacturer is trying to coax the maximum number of miles from a gallon of gas, it drinks fuel like frat boys attacking a keg on “free beer” night. You’d think such a vehicle that also carries a healthy six-figure price tag would last about as long as, oh, maybe another vehicle that also had military roots when introduced to the public well over a decade ago. 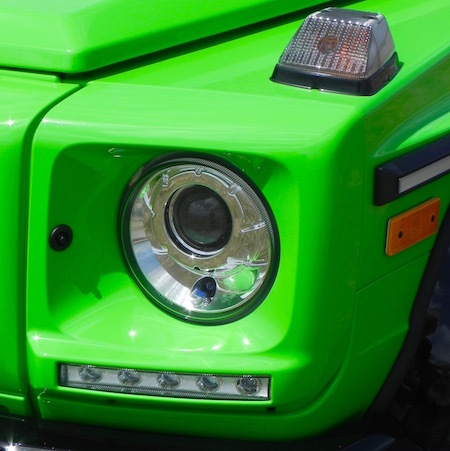 The Hummer H1 was on the market less than five years. The H2 and H3 that followed also were short-lived. 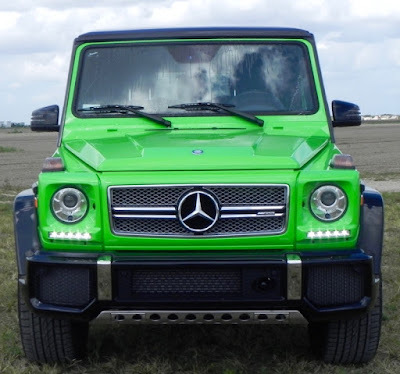 But Mercedes-Benz calls the G-lass (or G-Wagen/Wagon) a “resounding success with better-than-ever sales on a worldwide basis,” and there is little sign the G-Class is due to join the H1, H2, H3 as a fading memory. Guess that shows you what the three-prong star Mercedes-Benz logo in the front of the grille can do for a vehicle. At least that’s the opinion I got from some automotive friends when I raised the question of why the G-Class survives and the Hummer did not. 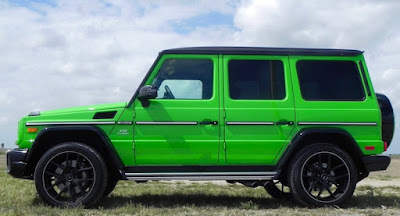 The G-Wagen came about from a suggestion by the Shah of Iran in the 1970s to Mercedes (he was significant stockholder in the company at the time) to develop a vehicle for his military to use (not that it did him a lot of good). Mercedes adapted a civilian version as far back as 1979. It was called the “Gelandewagen,” a German term for “cross-country vehicle,” and offered buyers a vehicle with heavy-duty off-road capability. But the Germans didn’t bring it to the U.S. until 2002, which, coincidentally or not, was shortly after the Hummer H1 was introduced and just before the H2 came to market. Mercedes-Benz apparently planned to discontinue exporting the G-Class to the U.S. in 2005, but when the U.S. Marines stepped in with a big order for use on desert patrols, that plan was scrapped. The Marines to the rescue! Still, sales did decline until fewer than 1,000 G-Wagens were sold in the U.S. as recently as 2010, but have picked up recently. Numbers show 3.950 were sold in 2016 compared to 3,616 for the previous year. The G-500 Mercedes introduced to the U.S. featured a 5.0-liter V8 engine and came with a sticker price under $75,000. The next year the good folks in the AMG department got their hands on it and so today we have the AMG G63 and AMG G65 offered in the U.S. with another model, the G550 4x4(2), new for 2017. It has even more features to enhance off-road capability. Would it surprise you to hear that the price has gone up several rungs over the last 15 years? I thought not. The base G550 lists at $122,400, the AMG G63 at $141,400, and the AMG G65 at $220,400. That’s a $2,500 jump over 2016 prices. The new G550 4X4(2) starts at $225,925. The thing that struck me with the AMG G65 that showed up in my driveway was the things you don’t get for that money. For instance, when approaching a luxury car (and several so-called “affordable” models for that matter) with the key in my pocket, I’m used to hearing the door lock unlatching when I touch the door handle or push the appropriate button on it. But there is no keyless entry with the AMG G63. No push-button start either. Getting in isn’t the easiest thing, but I’ve had vehicles that sat even higher and were much more of a chore. Once inside, I found accommodations on the cozy side. 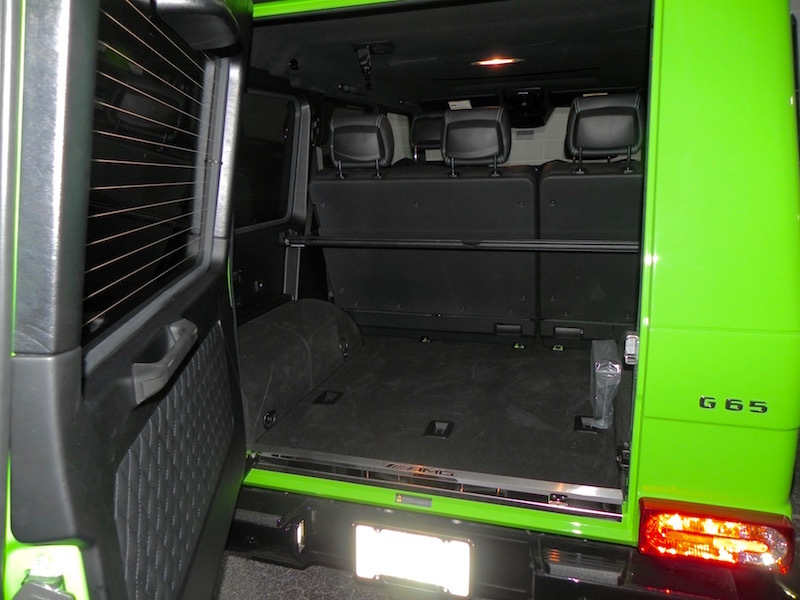 That isn’t to say the G-Wagon is cramped. It just doesn’t seem as roomy as other large SUVs I have driven. And storage isn’t what you typically get in this genre. The glove compartment is only big enough to handle the thick owner’s manual and, well, a pair of gloves. Storage in the center console’s bin also is limited. Only one cupholder up front, and it sticks out from the console into the passenger seat footwell like it was an afterthought. The two in the back are on the floor behind the console. Five-passenger capacity, three cupholders. You do the math. On the other hand, the quilted leather seats in my test G-Wagon were very supportive and both heated and ventilated. As usual with Mercedes, the materials throughout the cabin are top-notch. And storage capacity behind the second-row seats is listed at a generous 49.2 cubic feet. Fold them and max is 79.5 cubic feet. The real kick is when you start up the 6.0-liter, biturbo V12 engine. With 621 horsepower and 738 pound-feet of torque, the AMG G65 has plenty of power, good for towing up to 7,000 pounds while getting you from zero-to-60 mph in sports-sedan territory at an estimated 5.2 seconds, according to the company. It’s mated with a seven-speed automatic transmission that can be set to one of three modes: Comfort, Sport, or Manual, with gear selection for the latter via steering wheel mounted paddles. I mention the fuel economy earlier. The numbers are 11 miles-per-gallon city, 13 highway, and 12 combined with premium required. MSRP for the test vehicle, which included an optional studio package (carbon fiber trim, contrast stitching to match the exterior paint color, silver brake calipers, and more) plus $925 destination and delivery, came to $236,935. That pretty much puts the AMG G65 in a class of its own. What I liked about the 2017 Mercedes-Benz AMG G65: The cabin oozes luxury and has a kind of rugged sophistication (or sophisticated ruggedness) about it. What I didn’t like about the 2017 Mercedes-Benz AMG G65: Why can’t designers incorporate the display screen for the Mercedes’ COMAND system into the flow of the dash? Sticking up in the middle like it does, it looks like somebody just slapped an iPad to the center of the dash. The “alien green” color is polarizing to say the least. 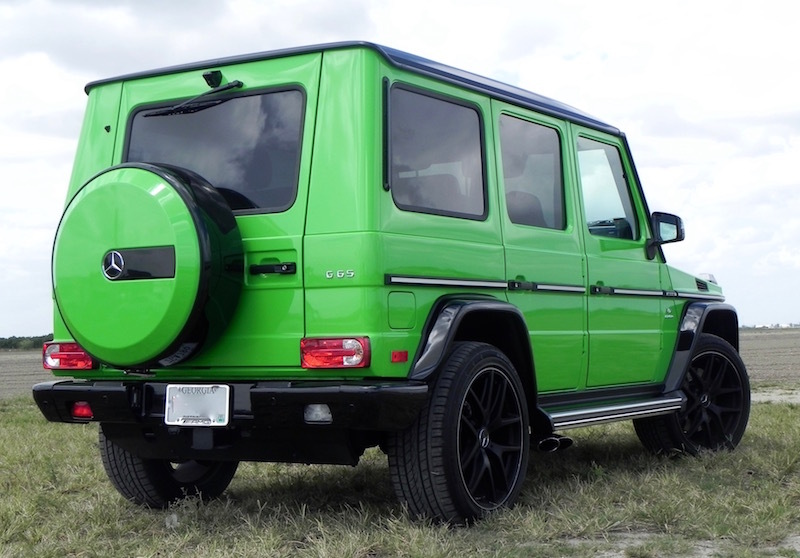 At least you won’t have any trouble finding this green G-Wagen in a mall parking lot. Would I buy the 2017 Mercedes-Benz AMG G65: Don’t think so. It’s too much on the expensive side, especially with something like an extremely capable and well-equipped competitors available for much le$$. I just spent a week in the 2017 Volkswagen Golf TSI SEL and though it isn’t the “hot hatch” that the Ford Focus RS that I had a couple of weeks ago is, it still offers a lot in the way of driving fun and in a more economical package. 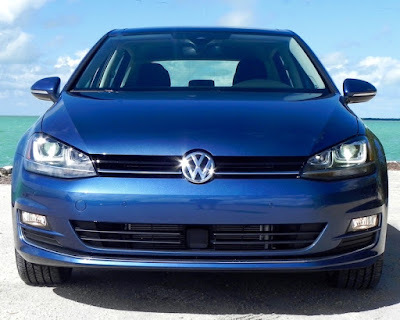 The base MSRP for the Golf is $27,995 and even tacking on an optional package like the SEL Driving Assistance and Lighting Package that includes park assist, lane departure warning, HID headlights and similar niceties plus the $820 destination and delivery charge runs to just $30,610. The Focus RS starts at $36,775 including destination and delivery and options ran the final tab on my test vehicle to $41,550. In addition, the Golf sips fuel at the rate of 25 miles-per-gallon city, 35 highway, and 29 combined while the Focus RS gulps it at a rate of 19 mpg city, 25 highway, and 22 combined. The RS also requires premium fuel. The Golf gets by on regular. Sure, it’s going to take you about three seconds longer to get from zero-to-60 mph in the Golf than the Focus RS, but what’s your hurry? So if you are shopping in the compact hatchback segment, the 2017 Golf TSI SEL has a lot to offer. But you can’t have it. The top-of-the-line SEL trim was a limited production model in the Golf lineup for 2017 and the window for a dealership to order one has closed, a company rep said. So unless you’re able to find a dealer who ordered one and didn’t sell it, or maybe someone who bought one and has had a change of heart, you’re going to be out of luck. The good news is that other 2017 Golf models are actually less expensive than they were in 2016. 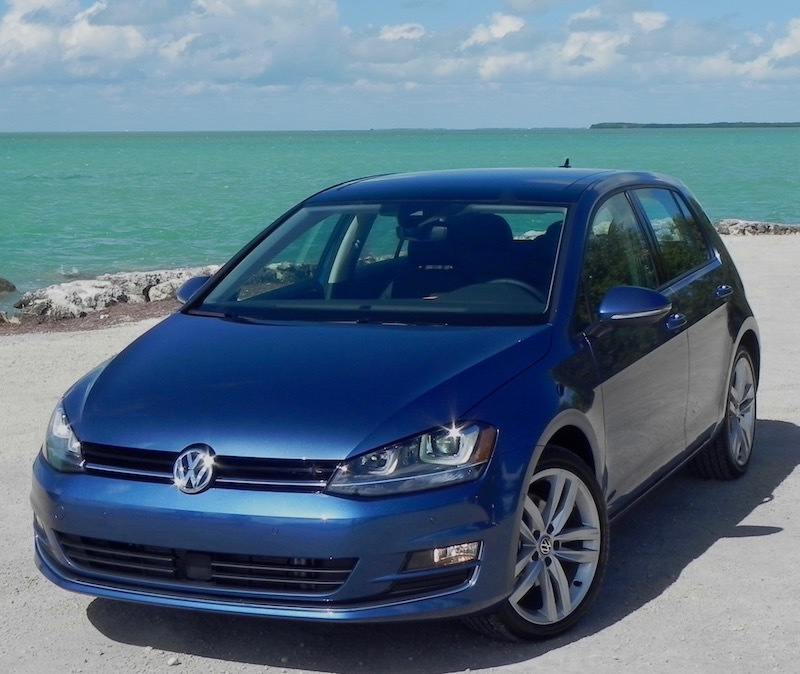 With a base model starting at under $20,000, a well-equipped Golf TSI S will run $21,035 for 2017. For 2016 it was $23,680. 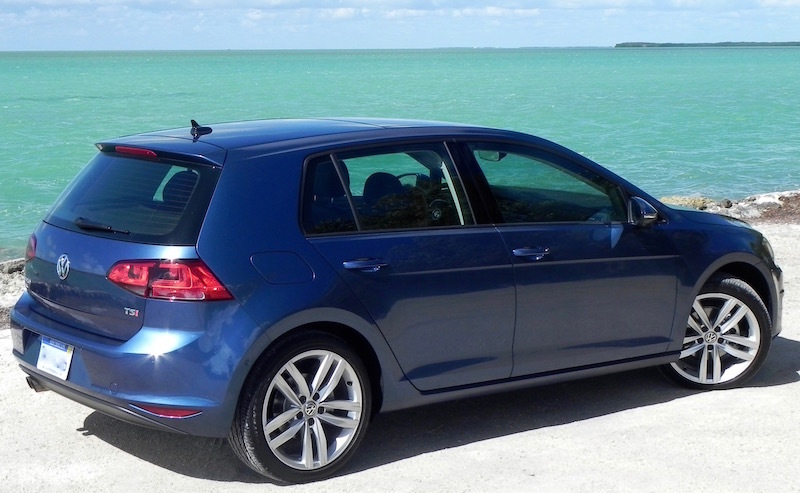 Part of that is attributable to the German automaker’s simplification of the Golf lineup, including the elimination of the SEL trim. Don’t despair, though. The Golf Wolfsburg edition (named for the town in Germany where the company is headquartered) comes with a lot of extras like a panoramic sunroof, leatherette seating surfaces, keyless access with push-button start, heated front seats, automatic headlights, rain-sensing windshield wipers, 16-inch aluminum alloy wheels, special floor mats, forward collision warning and emergency braking, and blind-spot monitor with rear traffic alert. Though it may lack the overall power and track capability of the Focus RS, the Golf TSI SEL still packs a pretty good punch. It takes some of the pain out of driving in the usual heavy traffic that is as common to South Florida as tourists’ sunburns. In its seven generation, the VW Golf has been around for over 40 years in the U.S., where it also has borne the nameplate Rabbit for a couple of generations, and thus VW has had time to get it right. 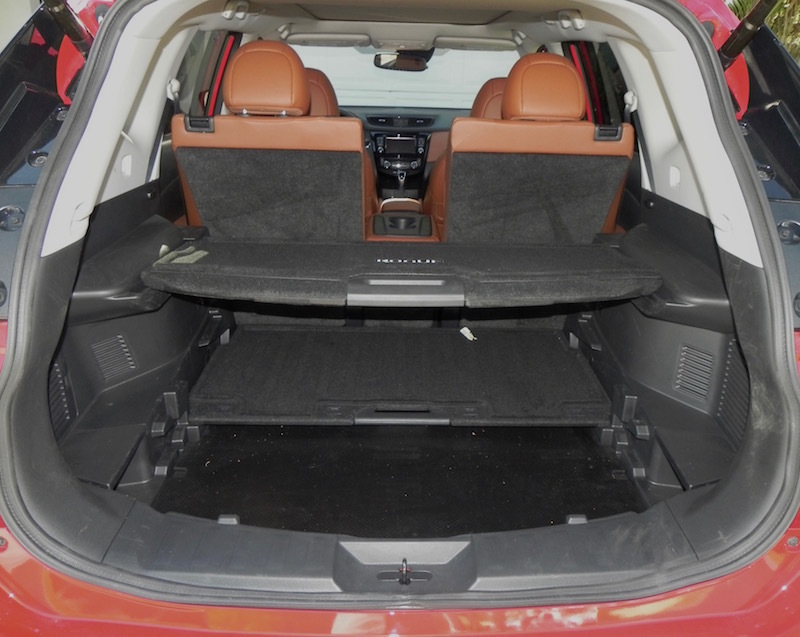 It is pretty roomy inside for a compact, though legroom in the backseat can be compromised by where those in front, especially the driver, adjust their seats. 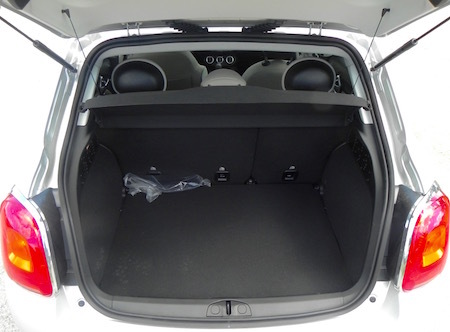 Maybe because it’s European, but the Golf TSI SEL has the interior ambiance of a much more expensive vehicle. It’s just too bad there aren’t more of them available. 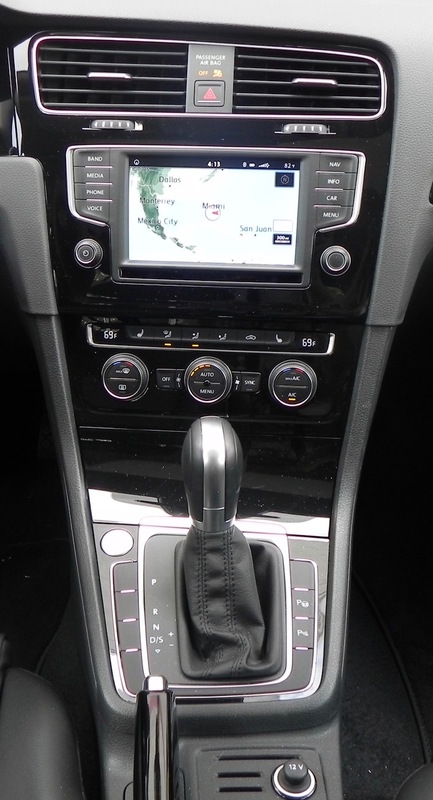 What I liked about the 2017 Volkswagen Golf TSI SEL: It offers lots of nice standard features, like a Fender premium audio system, and the operation of the infotainment features is fairly basic (thank goodness for knobs for the audio and A/C) with one exception (see below). What I didn't like about the 2017 Volkswagen Golf TSI SEL: The voice command system, at least for operating the audio, is one of the most frustrating I've ever dealt with. The system doesn't seem to respond commands even when you follow instructions. It does tell you to speak more softly if you yell at it, but that didn’t seem to help. I didn’t try it on the nav system. I was afraid of where it might take me. Would I buy the 2017 Volkswagen Golf TSI SEL? I’m not big into compact hatchbacks so you wouldn’t find the Golf TSI SEL on my list. But if that’s the genre you’re looking for, the Golf deserves a look. If you can’t find a 2017 SEL, check out the Wolfsburg edition.